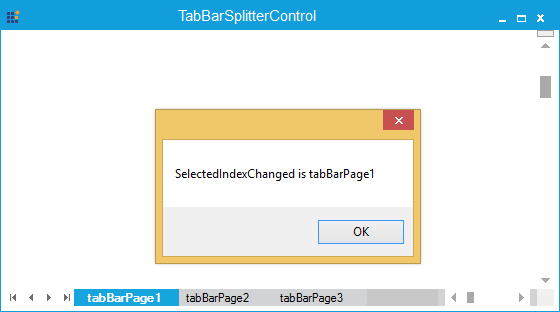 How to detect tab selection in TabBarSplitterControl? 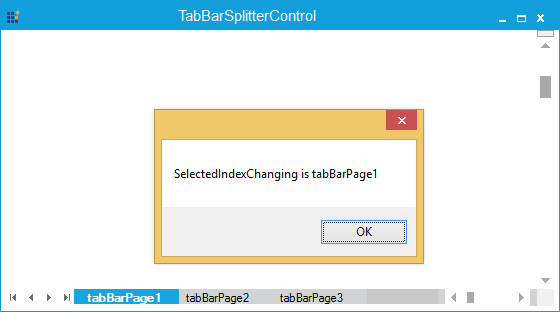 In TabBarSplitterControl, the tab selection can be detected by handling events named “SelectedIndexChanging” and “SelectedIndexChanged”. Figure 1. SelectedIndexChanging event is fired on tab selection. Figure 2. SelectedIndexChanged event is fired on tab selection.